The smart, one-stop solution for all commercial and residential property services in London and the South East. With more than ten years’ experience, Howard Property Services is the business of choice for landlords, estate agents and property professionals in London. From professional property inventories and Energy Performance Certificates to PAT Testing and Legionnaires Assessments all our services are just a call away. At Howard Property Services our clients include Savills, Berkeley Homes and Chancellors as well as other leading estate agents and property companies. We are an award-winning property service company with a team of fully trained inventory clerks and accredited EPC agents. As well as a first class service our team pride themselves on being able to provide a one-stop solution for commercial and residential clients in and around London. Efficient, professional and reliable services tailored to suit your needs and take the strain out of bringing a property to market. You provide the key. We provide the detail. 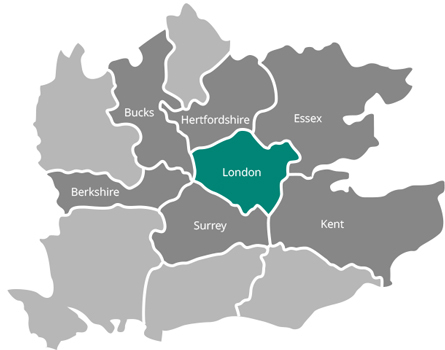 Our services cover London and the surrounding areas but we may be able to meet your requirements further afield. We have been working with Howard Property Services for over two years and have been pleased with their quality of service and flexibility to accommodate the demands of our managed portfolio. We have always found Howard Property Services to be reliable and very professional. We would not hesitate to recommend them to any that asks as we are confident that they will experience the same satisfaction of service as we have. Howard Property Services have consistently provided us with a professional standard of service, delivered in a friendly and helpful manner. We use Howard Property Services because they are accommodating, helpful and flexible. They cover our properties at weekends and there is always someone available in the office to liaise with at anytime. Having used Howard Property Services for several years I believe that the service they provide sets the standard for the industry. Their reports are thorough, comprehensive and very detailed.